Welcome to Control4. 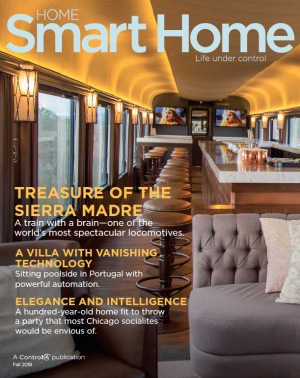 Whether you've installed Control4 to enhance your entertainment system, manage your lighting and energy usage, or automate your entire home or business, you are about to discover how your personalized Control4 system will enhance your life. Your authorized Control4 dealer has likely already given you an overview of your Control4 system. You can also browse our resource materials below and bookmark this page so you can refer back to it when necessary. For specific questions about your set-up, your dealer should be your first point of contact. If by some chance you have any trouble connecting with your dealer, please contact us and we'll provide assistance. We understand that as technology changes, you'll want to stay up-to-date with the latest enhancements that Control4 offers in home automation. That's why we've developed our customer upgrade promotion to give our customers the best deal on the latest and greatest from Control4. 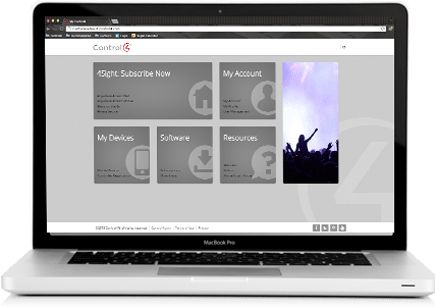 To access your MyControl4 account, sign in here. You will need the email address that was used to register the account, and your password. If you don't remember which email address is associated with your account, contact your dealer or email Control4 at customers@control4.com. One of the most exciting features of a home automation system is the ability to customize it to fit your specific needs. Since your Control4 system is personalized and designed around your distinct lifestyle, its features are unique. We have compiled a list of user manuals, guides and video tutorials that are applicable to a majority of our customers’ systems. However, if you have any questions that aren't answered with the resources below, we encourage you to contact the dealer who installed your Control4 system, as he or she will better understand the intricacies of your specific setup. If you are looking for more info on a specific product, please browse our product catalog and download the documentation for the product. If you aren’t sure which operating system version you’re running on, view your controller’s registration page. Understand the basic features and functionality of your Control4 system with the Quick Start Guide, or become more familiar with the ins and outs of your system with the Solutions guides. If an error occurs during installation, please uninstall the your outdated Control4 software and begin again with a clean installation. For systems with operating systems older than version 2.2, please contact your dealer for documentation or a software upgrade. Resources for installing and using the Intercom Anywhere app on iOS and Android smartphones. Manage custom buttons, media, scheduling and notifications with Composer HE. Add media files—such as music, movies, and local channels—to your Control4 system with Composer ME, free software for all Control4 customers. These user manuals provide quick reference to special features that are applicable to a majority of Control4 systems.